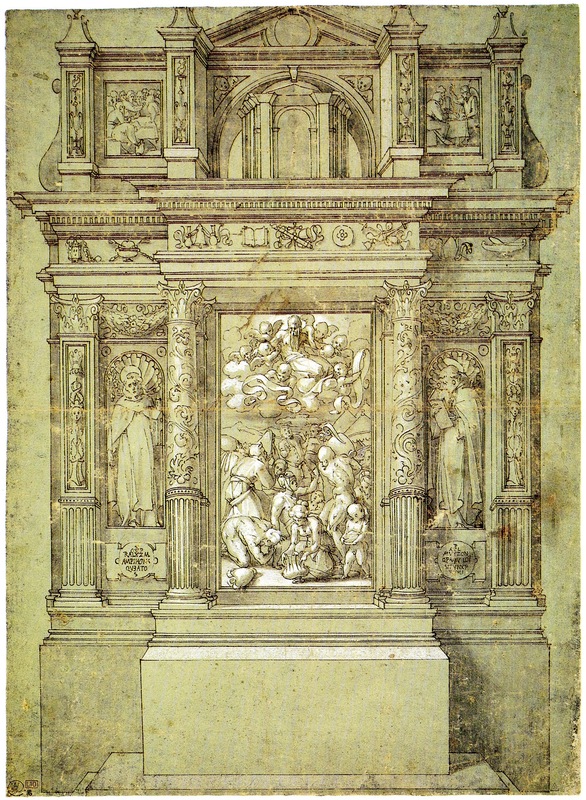 It was for this Fraternita di S. Maria della Misericordia that Rosso made his drawing of 1529 of the Madonna della Misericordia, in the Louvre (Fig.D.35a), that was to serve as the model for the altarpiece of the chapel for which, according to Vasari, Rosso also provided a drawing. A chapel of the Volto Santo had been built by the confraternity following their decision of 3 February 1436 and is recorded to have been in use in 1508.1 It stood at the very bottom of the Piazza Grande of Arezzo, just behind the Pieve, occupying part of the area on which there is now a fountain. It was the plan to place that fountain in this location that resulted in the destruction of the chapel in 1602 or 1603, along with the six shops arranged next to each other in a line to one side of the chapel that together formed a long narrow block set behind but slightly separated from the apse of the Pieve. Given the location of this small chapel, it could have had an entrance on one of three sides, facing the Pieve, the via Pescaia, or the Piazza Grande. The latter seems most likely. Prior to Mercantini’s publication of 1980, the site of this chapel was not known, although Ristori in 1928 placed it nearby.2 The chapel having been built in the fifteenth century, Mercantini believes Rosso’s design for it would perhaps have been to transform its interior. This is likely, and it would have provided an appropriate setting for the altarpiece of the Madonna della Misericordia that he designed at the same time. 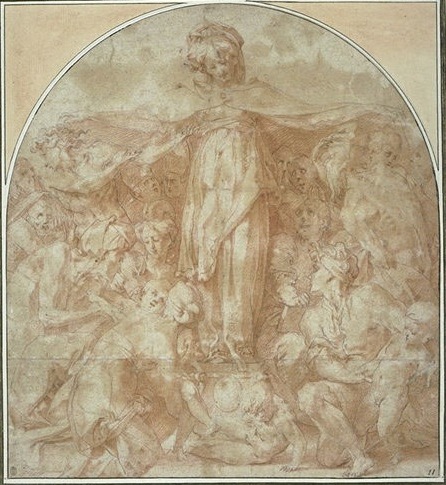 Or Rosso could instead have designed a chapel for his painting, like that in his drawing in the British Museum (Fig.D.37a). There is, however, no reason to dismiss entirely the possibility that he redesigned also the exterior of the chapel, or designed an entirely new chapel to replace the old one. Whatever he designed it should be kept in mind that the already built chapel was for the Volto Santo and Rosso’s plans might have had to accommodate this image, unless his project was for an entirely new dedication. 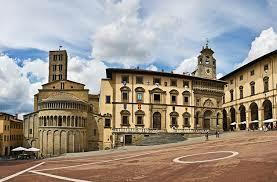 No evidence survives for this architectural project nor is it known if Rosso made one or more drawings for it. In the inventory of those facilities under the protection of the Fraternita made in 1508 the chapel of the Volto Santo is listed as having been built as the result of deliberations of 1436, suggesting that if Rosso’s design was for a wholly new structure, it was not built. But as Rosso never executed his altarpiece for this chapel, it is probable that his architectural project was also never realized. 1 On this chapel, see Mercantini, 1980, 19, n. 14, 21, Fig. 7, showing at C the location of the Chapel of the Volto Santo, 22, 31, ns. 61 and 64, 32; also noted by Franklin, 1994, 255.